So I've made two more quilts, cut a truck load of raceshirts into 12x12 squares and sewn them into shirt "sandwiches". I've also learned a few tricks. One... if you have text or graphics on both sides, cut the shirt in half FIRST. Otherwise the back graphic gets cut weird. Also, if you have text on the back that you don't really need, cut your second piece from the side of the shirt so you have the matching color but you don't have extra print that you have to sew over. It is SO MUCH EASIER to sew when their is only text/graphics on one side! This quilt ended up being larger than the last one and I really like the size of it. It feels much more substantial with the extra row. 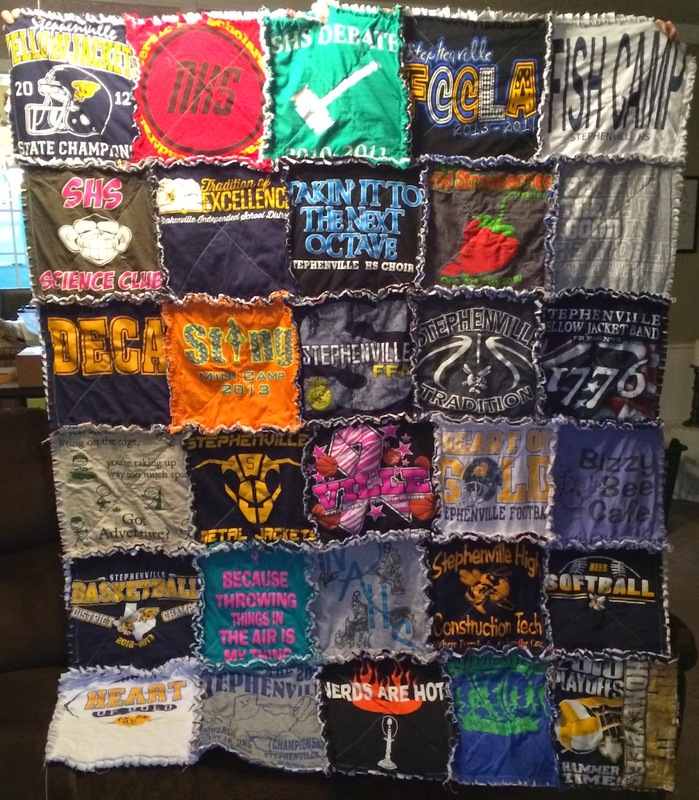 And here is quilt number 3. I'm getting better at keeping the squares, well square. I've had tons of people asking about sewing these for them. 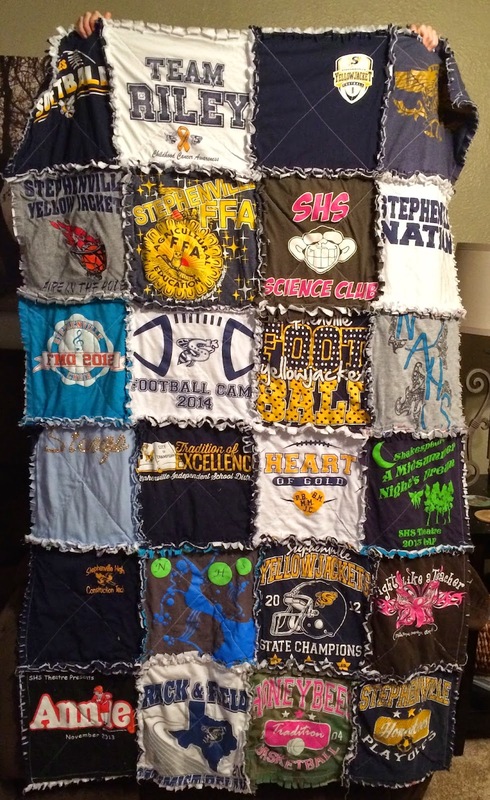 I've decided on $150 for a 4x6 (24 shirt) quilt and $200 for a 5x6 (30 shirt). What do you think? Does that sound reasonable? !